The dragon fruit is a vining terrestrial cactus with fleshy stems reaching from a few inches up to 20ft long (in mature plants). The plant may grow over the ground or climb onto trees using aerial roots. Its heavy, 3-sided, green, fleshy, much-branched stems with flat, wavy wings having horny margins, may reach 6 m in length. The night-blooming, very fragrant, bell-shaped, white flowers, up to 35 cm long and 22 cm wide, have a thick tube bearing several linear green scales. The non-spiny fruit is oval up to 10 cm long, 6 cm thick, coated with the bright-red, fleshy or yellow, ovate bases of scales. 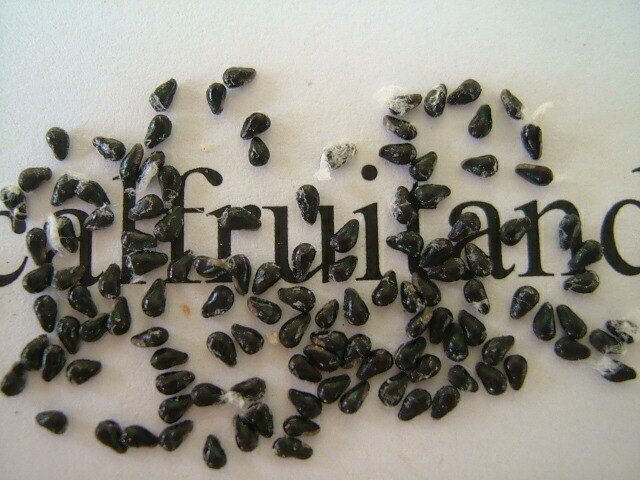 Within is white, juicy, sweet pulp containing innumerable tiny black, partly hollow seeds. 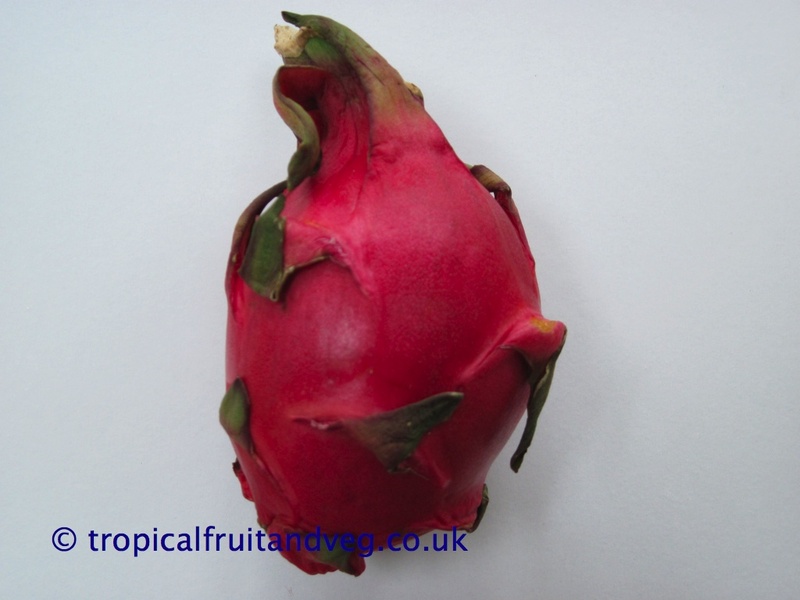 Dragon fruit is popular eaten chilled, out of hand. It is also used to flavour drinks and pastries. Unopened flowerbuds are cooked and eaten as vegetables. It grows best in dry, tropical or subtropical climates with medium rainfall per year. It will tolerate high temperatures and short periods of frost, but prolonged cold will damage or kill the plant. 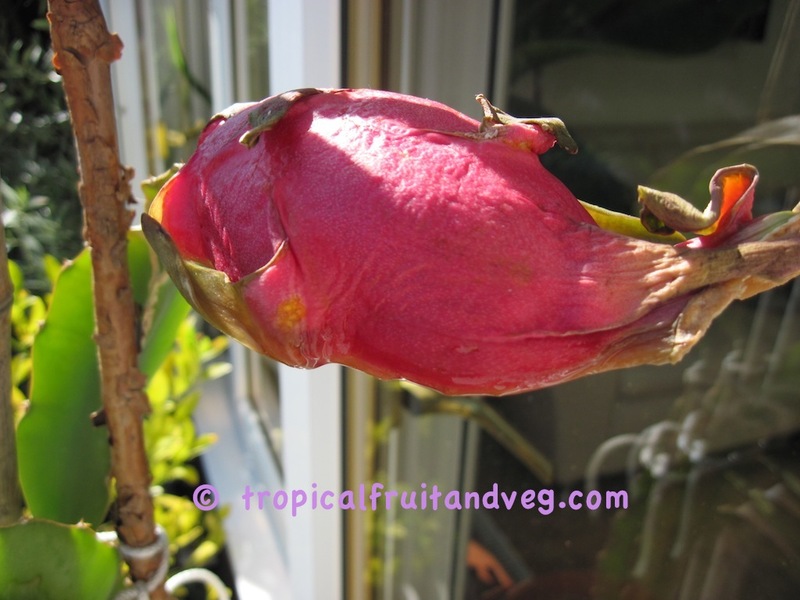 It is recommended to grow the dragon fruit in soil that is supplemented with high amounts of organic material. Flowers are ornate and beautiful and bloom only at night where pollination is necessary to set fruit. 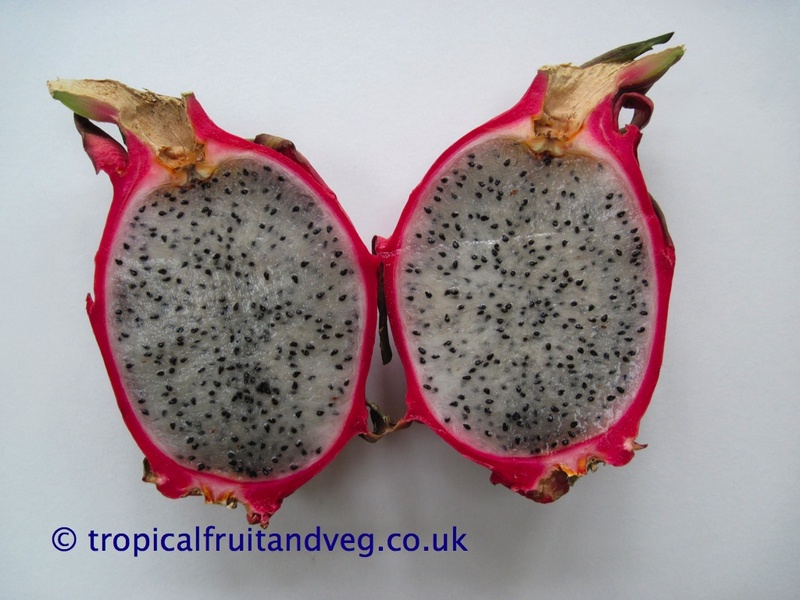 Dragon fruit plants can have up to 4-6 fruiting cycles per year.